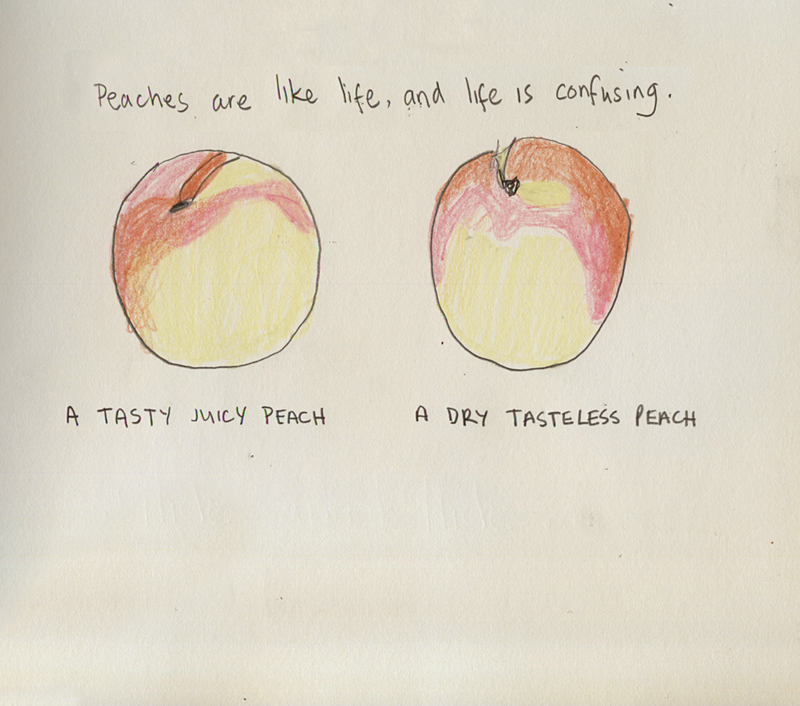 Image | This entry was posted in opinion and tagged confused, li, Life, peaches. Bookmark the permalink. They look the same but taste totally different. Like orange juice. Yes Tropicana. No OJ. Both orange. Thank you, Helen. Your comments are always much appreciated. This made me laugh out loud. You are absolutely right. This made me LOL, but in that slow way where you’re turning the thought over in your mind as your laughing. So true. These little drawings are adorable! Loving your drawings and blog. keep it up girl!!! Thank you! Appreciate the encouraging words! Thank you. It’s much appreciated.